I’m just trying to get a link in Hassio with an iFrame to configurator, but it’s not quite working! You need the url generated by opening the new tab (button in upper right). Paste this url into your configurator panel config. I’m not sure which ingress URL to use in my case since I use a custom port and forward to 8123. If I use the hassio.local ingress URL I can access the Configurator from the iFrame panel fine from inside but not from outside. The opposite is true if I use my duckdns ingress URL. Any ideas? Thanks! Is it just me, or has the new tab button disappeared in configurator 3.1? It should still be there. I have changed the previous icon (3 vertical dots) with a gear icon though. I did this to make it stand out more visually. Apparently there were quite a few people unaware of all those extras hidden in that menu because it never occurred to them to click it. Daniel… is there still a reason to keep using the one from your repo that was always more up-to-date anymore or should I switch to this official one now? Does not work for me. It looks like the url holds a session id or something. When I use the whole url including session id I get a 401 not authorized. When I leave the session id out, I get a 404. Can someone post the correctly url or config? I’m also getting the same behavior. I get the 401 message until I click the Open web UI link on the add-on. After that it works again. It depends… As you see, there are people struggeling with embedding the ingress-configurator. On the other hand, your existing setup with the SESAME etc. aren’t required anymore. 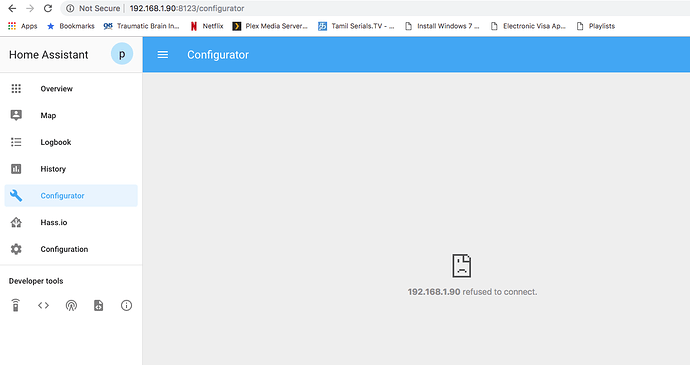 So if you have some exotic setup where you access the configurator directly, this may break because you can’t do the port forwarding. My suggestion: Create a feature request where ingress-add-ons should get “add to menu”-checkboxes. Those then could add a link in the menu on the left were currently users have their panel-iframe links. 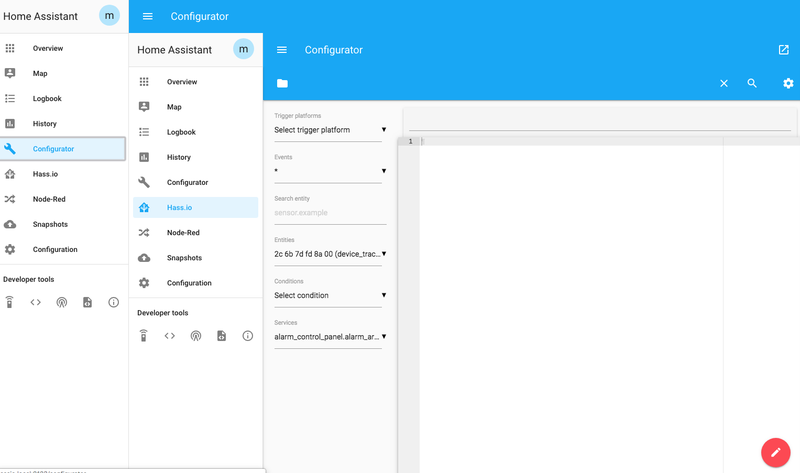 That way users don’t have to get to the “open web ui” button to reliably open the configurator. I bet this solution would make future ingress-add-ons a lot more userfriendly. Thanks Daniel… so you are going to maintain your repo one going forward as well and it will continue with user/pass/sesame? If so then I don’t see any point changing something that is working very well. I guess as more addons move to ingress like Frenck’s ones, there will be a smoother transition and less confusion for everyone. so you are going to maintain your repo one going forward as well and it will continue with user/pass/sesame? Yes. That way I stay in control of providing new releases when they are done. It took several months for the official add-on to be updated. So with my repo there’s an alternative (without ingress). My panel iframe was working fine until i updated to Home Assistant 0.91.3, now when i click it i get this. but still able to access via webui in addons. scroll down to Network, add 3218 as port and hit save. same here. Whomever introduced ingress into the architecture for this ‘single’ add-on needs to go back to 1st principals and ensure release testing and documentation BEFORE production upgrade!